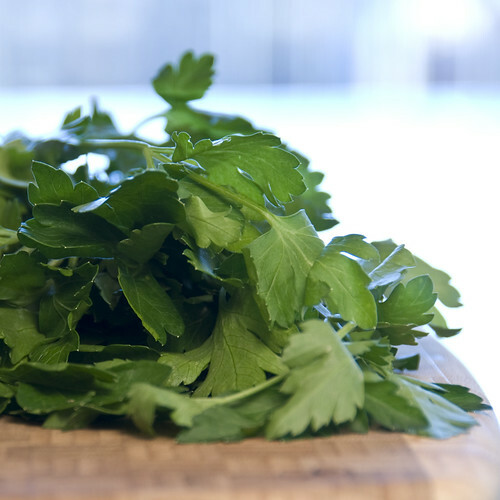 Today is meatball day, so there are lots of wonderful things to go on the chopping block: fresh flat-leafed Italian parsley, fresh basil, onion and garlic. I often make a double batch of meatballs, using ground turkey breast, to keep in the freezer as a staple "fast food". For a quick, easy, healthy meal, I throw some sweet brown rice or quinoa into my Zojirushi ricemaker early in the day and set the timer for 6 p.m. Come dinner time, I throw a few of the pre-cooked frozen meatballs in a sauté pan to heat them up, splash on a bit of sweet Thai chili sauce and serve them with rice or quinoa and a side salad of some sort. Nothing could be easier. It takes me 10 minutes total to get a delicious dinner on the table. Ebony Johnson is a vegetarian cooking enthusiast and the host of Beyond the Garden, the vegetarian cooking experience that explores healthy and tasty vegetarian and vegan cuisines. Visit http://www.vegetarianlikeme.com to subscribe to receive free access to monthly vegetarian & vegan cooking shows & recipes. Her recipes are full of tips & entertainment guaranteed to have you cooking healthy & tasty vegetarian meals to satisfy any palette. Tofu, by far, is my preferred vegetarian protein. If you are any thing like me, you can appreciate the flexibility of textures, and preparation that tofu has to offer your tastebuds. Tofu reminds me of a blank canvas (just stay with me for a moment) that I am able to shape and mold into my ideal masterpiece dish. Just think about it for a second. Tofu is a pretty bland food, until you get creative and spruce it up by adding your own spices, herbs, and personal touch to produce a tasty meal that doesn’t resemble the white block of substance you purchased from the grocery store. 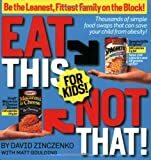 When I first became a vegetarian, I really did not enjoy tofu too much. I didn’t like the texture of tofu and I was uncertain about the many ways tofu could be cooked and enjoyed, until one day I began my tofu exploration of various methods of changing and enhancing the texture and flavors of this perfect protein. Deep Fry – Heat oil in a frying pan. Drain and cut the extra firm tofu in to cubes or triangles. Lightly season with salt, pepper, and garlic powder (you could even season some flour and coat the tofu with the seasoned flour to make a light batter). Make sure the oil is sizzling hot before adding the seasoned tofu. Deep fry the tofu until golden brown (usually about 5 – 7 minutes). You can drizzle the deep fried tofu with teriyaki or soy sauce. I like to eat deep fried tofu all by itself and I usually let mine fry an extra minute or so because I like mine extra crunchy. Bake – Yes, you can bake tofu. One of my favorite baked tofu dishes doesn’t take long to cook at all. Drain and cut 1 lb of extra firm tofu into cutlets or steaks. Next, season your tofu with various seasons such as salt, pepper, dried oregano,dried basil, and dried thyme. Lightly grease a baking dish with olive oil and place the seasoned tofu, diced carrots and onion in the pan and bake on 350 degrees for 30 mins. This healthy and hearty baked tofu dish can be served with vegetarian or vegan based gravy for a flavorful touch. Sauté – If you are in a rush or don’t want to spend tons of time preparing a healthy dinner, simply chop some mushrooms, onions, and green peppers, and add to a hot pan. Drizzle the vegetables with olive oil, and some minced garlic. Next, add some cubed tofu to the vegetable mix and sauté for 5-7 minutes. You can serve this tofu and veggie sauté over brown rice. Uncooked – This simple tofu based salad is absolutely delicious. Prepare this dish the night before for an extra burst of flavor. In bowl combine some cucumber (remove the seeds), chopped onion, shredded carrots, cubed firm tofu, fresh ginger, minced garlic, salt, pepper, and olive oil. Mix well and serve cold. 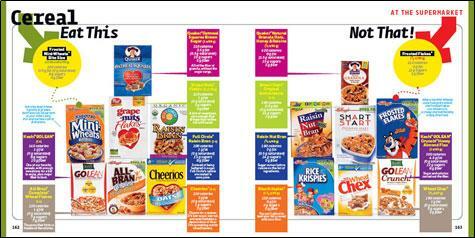 Blended – Eggs are not the one and only food that will provide you with an a.m. dose of protein. Simply add some fresh or frozen fruit, soy milk, agave, and ¼ cup of silken tofu in a blender and blend until smooth. This protein packed fresh fruit smoothie will keep you feeling full until lunch time. Crumbled – When crumbling Tofu, your vegetarian and vegan meal creations are endless. I enjoy crumbling extra firm tofu and adding some olive oil, garlic and onion to a hot skillet and letting it cook for 5 minutes. Then I add some cumin, paprika, and chili powder to the mixture and let it cook for 10 minutes. In a few quick minutes, I have just made a delicious protein rich and low fat filling for my burritos, tacos, taco salad, or even spaghetti sauce. Why have ground beef when you can use crumbled tofu? Tofu, with out a doubt, has evolved in to a diverse plant based protein. Now, you can purchase smoked tofu, cubed tofu, and other pre-seasoned tofu to make preparing a tofu based dish a little simpler. But always remember that tofu is what you make of it. Don’t shy away from cooking with the various firmness (silken, soft, firm, and extra firm) textures that tofu has to offer. So, go to the store, pick up some tofu, and start creating and cooking. Easy tofu recipes from Sarah’s Low Carb Vegetarian Kitchen. Blogging really took off in the late 90s. It used to be a forum for voicing one’s opinion on a given topic, but has evolved into masses of opinions on just about anything under the sun. As it continues to evolve, online advertising has entered the blog arena. Here are five top reasons why you should consider blogging as a serious internet marketing tool. 1.Blogging is simple. If you have a PC and an Internet connection then its easy for the average Jane to start within minutes, and advertise products, ideas or websites ! 2. Blogging has a more ‘authentic’ feel to it. In many blogs, real people share their real-life experiences, untouched by paid advertising. Reading blogs about first-hand product use is increasingly being used by web shoppers as an authentic source of information before pressing the ‘pay here now’ button. 3. Blogging is mostly free. Because blogging is not yet a mainstream online advertising media, most sites still offer it for free. Anything free is definitely a bonus to start up businesses. Of course, paid blog pages generate more income for your growing business. 4. Blogging builds your credibility. As you get more and more into writing about your experience on a particular product or theme, your readers come to depend on your posts for advise. As you become an ‘expert’ more readers visit your site and more bloggers link to your posts. As companies and professionals notice your growing readership, they may soon contact you for advertising on your blog, or offer you an affiliate ship, which is excellent, either way. 5. Blogging gradually ‘builds’ your market. Unless your face is well known on magazine stands, I’ll bet that only your Mom reads your posts. Mom has a lot of friends too, so may be you’ll end up with a hundred after all ! * Use your e-mail. Invite people to explore your site by posting a short e-mail message to contacts or forums as teasers to your blog. If your e-mail is on a totally different subject, use your e-mail signature to give a link to the site. * Use subscription. An easy way to get your readers’ e-mail is to give them an opportunity to subscribe to your blog. Keep some exclusive goodies for your subscribers to entice them give away their e-mail addresses. Just be responsible in using their e-mail address too: the last thing you want is being accused of spamming ! * Use RSS. RSS is the fastest growing Internet technology today. RSS feeds to your blog is definitely another means of generating awareness for your readers. Having a variety of feeds can add interest to your blog site, apart from constantly advertise ‘you’. Blog your way to success ! Cynthia Mosher has been working online since 1998. She shares her advice and experience on working at home and internet and affiliate marketing at her website Wahm Daily. Where Can I Get 2 Block Heads Coupons? How Can I Use 2 Block Heads Coupon Codes? A Wide range of Baby Gifts are at 2Blockheads.com. At 2Blockheads.com Personalized Name Trains & Sets, Personalized Kids Books, Personalized Baby Gifts, Personalized Baby Blanket, Personalized Bears & Loves, Personalized Children’s Music, Personalized Children’s Music, Unique Baby Gifts, Gund First Play sets, Personalized Kids Clocks are available Redeem the Coupon Code at 2Blockheads.com and enter at the field “Coupon/gift Certificate” and enjoy the offer. How can I use 2Blockheads.com Coupon Code? Just select the coupon code and copy it or write it down and enter in to 2Blockheads discount / promo / coupon / promotion code box of 2 Block Heads while checkout process. If there no coupon code, the discount will be applicable by clicking on the link(title), or you can find given a 2Blockheads.com coupon code after you click on the link (title). Then complete your shopping at 2Blockheads and get great discount. Where do you enter a coupon code for 2 Block Heads? you’ll enter the online coupon code in your shopping cart while checkout process at 2Blockheads.com. look for a text box that asks for a coupon code, promotion code, promotional code, promo code, discount code or something similar code, and enter your 2Blockheads code in that box then continue shopping to get discount. 2 Block Heads coupons, discount codes, promotions, discounts, coupon codes, promo codes or promotion codes while shopping at 2Blockheads.com, you should contact customer care service for 2Blockheads before making your purchase. One important thing some 2 Block Heads coupon codes are case-sensitive. More 2 Block Heads coupon codes at deals365.us. 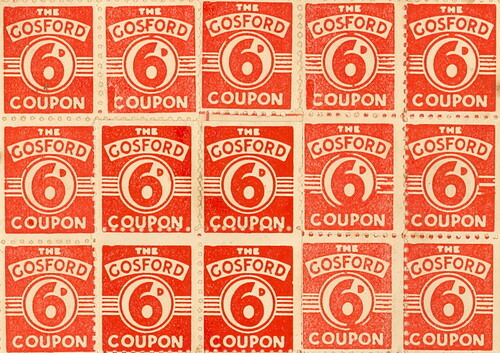 Gosford Coupons from a full, unredeemed booklet found in the former Martin family house at Matcham, NSW.